Recreate the Galaxy’s Greatest Space Battles! Wield the unmatched power of the Imperial fleet, or gain the opportunity to prove your tactical acumen as an admiral in the Rebel Alliance. 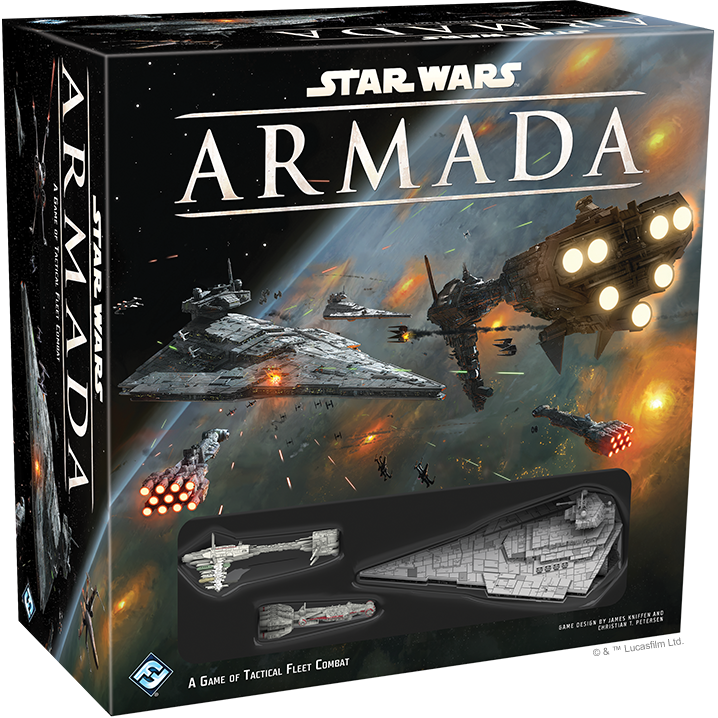 Armada is a game of capital ships and starfighter squadrons – with battles on a scale large enough to alter the fate of the galaxy – but their outcomes hinge upon you and your decisions. If you wish to emerge victorious, the first thing you’ll need to do is learn how your ships function in battle. Capital ships aren’t nimble like starfighters. In fact, the larger and more powerful your ships, the more time they take to respond to your commands. You can’t react instantly to threats as they arise. You have to plan for the future. Each of your ships has a command value, which determines how many commands it will have in its command stack at any given point in time. Each round, you secretly select and assign a new command, placing it at the bottom of your command stack, before you reveal the command at the top of your stack. The right command at the right time is critical. Issuing your commands strategically is the key to victory. 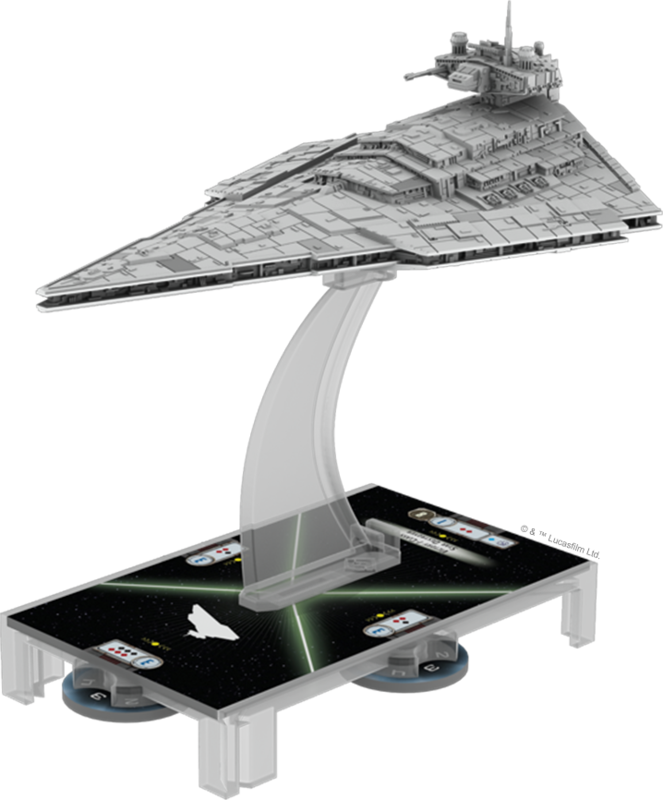 Armada and its rules for fleet building introduce a tremendous range of tactical flexibility. Each starship can be outfitted differently. You can recruit elite crew and commanders, upgrade your weapons, bolster your defenses, and target key objectives. 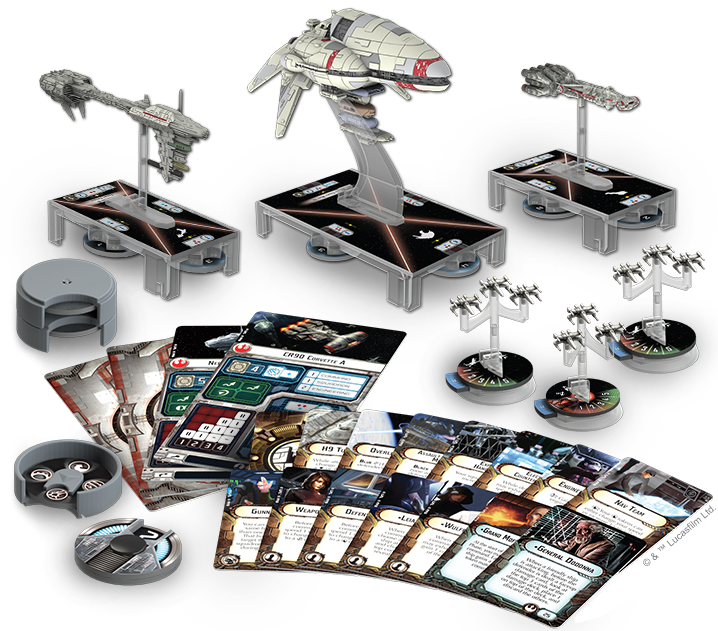 By pairing your ships and squadrons with ship cards, squadron cards, upgrades, and objectives, Armada allows you to build a fleet to fit your tactics. Furthermore, you can expand your Armada battles beyond the Core Set and its myriad possibilities with Expansion Packs. Harness the firepower of new Star Destroyers, recruit more corvettes to the Rebel Alliance, gain the insight of new commanders, and assign ace pilots to your fighter squadrons. Each Armada Expansion Pack introduces new ways for you to grow your fleet and tailor it to your strategy. Play Your Part in the Galactic Civil War! As Rebel and Imperial fleets collide, thousands of crew will heroically perform their duties, thousands more will die, but it’s your decisions that will determine the course of battle and decide the fate of the galaxy!